In St. Attracta's Senior School we are very proud of our Catholic ethos. Together with parents we seek to encourage the children in their own prayer life and in the knowledge of the great love that God has for each one of them. Our pupils participate in the Sacrament of the Eucharist every Monday during Lent. Our school Lenten Way of the Cross takes place before the Easter holidays every year. Our sixth class pupils receive the Sacrament of Confirmation in May each year. The sixth class Confirmation retreat usually takes place in April. This is an opportunity for our pupils to deepen their faith and learn more about the Sacrament they will be receiving shortly. Mr. Colin Sheldon (from Walk through the Bible Ministries) leads a Bible Explorer workshop for 5 weeks in 5th class. Using a mixture of online and physical resources he brings the Bible stories of the Old Testament to life. We celebrate the feast of St. Attracta every June in our school. For further information on St. Attracta click on the following link. We pray at the start of our weekly Assemblies and at the start and end of our school day. 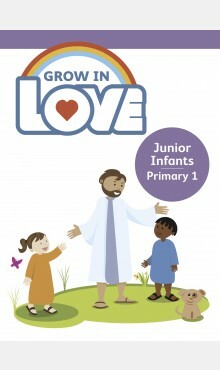 We have our religious education classes between 12 and 12.30 every day. Every year we celebrate Catholic Schools Week in January, this week includes celebrating Grandparents Day. We pray the Angelus every day at 12 noon. Children from our school participate in the Sunday choir under the tutelage of Ms. Neville. These children sing on the second Sunday of the month at Mass in the parish of Meadowbrook. Pupils are given the opportunity to train as altar servers and serve in the parish on Sundays and during school liturgies. 'Just for a minute with Jesus' - a weekly 30 minutes of prayer and Adoration open to all pupils and their parents from 2.30 - 3 during Lent and Advent. Children often make St. Brigid's Crosses in class at the beginning of February. We have an opening Mass for the new academic year every September. Every December we host a Christmas carol service in the oratory, each class sings a carol at this occasion. Outside speakers e.g. from Trócaire, pastoral workers etc. often visit our school to further develop and deepen the children's knowledge and experience of faith in action. The Mass of Commitment for 6th class pupils takes place in November of each year.